Today we are sharing our Mint Mobile Review with you to explain why I decided to switch to Mint from Cricket Wireless. You might remember that last year we wrote an article about how we had saved thousands of dollars over the years by switching to Cricket Wireless from the main cell phone companies like AT&T, Verizon, & T-Mobile. We loved Cricket, but when we started to hear murmurs about an even better (aka less expensive) option, we knew we had to look into it. 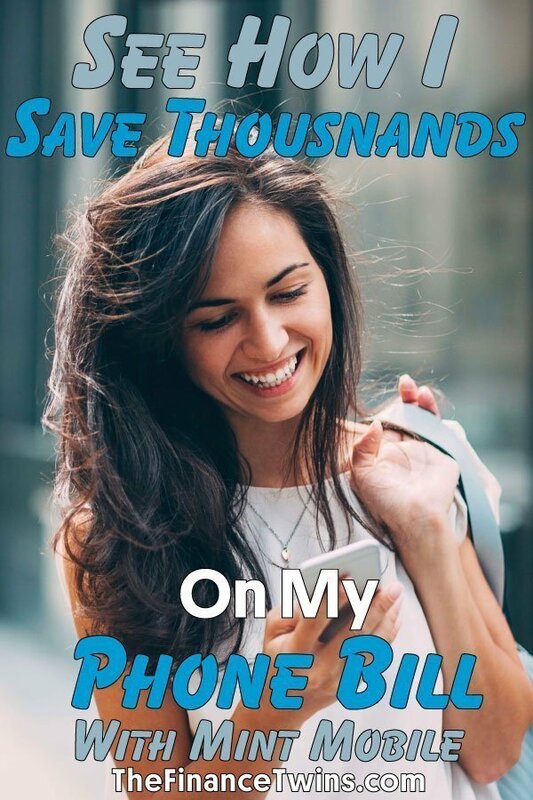 To test it out, one of us recently made the switch to Mint Mobile from Cricket Wireless and we found an even better way to save money on our phone bill! While Cricket has helped us save thousands of dollars over the past few years, and we are very thankful for that, we are always looking for better deals for you guys (and ourselves). Mint Mobile is a mobile virtual network operator which relies on T-Mobile towers. This is a fancy term for a mobile phone network which doesn’t own the infrastructure. Just like the way Cricket Wireless uses AT&T towers and bandwidth, Mint Mobile uses T-Mobile towers. This means that as long as you’re in an area with solid T-Mobile service, you should get Mint Mobile service. How Does Mint Mobile Offer Cheaper Prices? Unlike Cricket Wireless (and most other cell phone companies) who charge you a monthly price as you go, Mint Mobile plans are prepaid every 3, 6, or 12 months. This pricing model allows Mint Mobile to offer really competitive rates since they know exactly how much bandwidth to purchase from T-Mobile. They pass these savings onto customers by rewarding customers who agree to longer contracts. As you’ll see in the pricing table below, the real savings happen when you purchase a longer plan. What Are The Different Mint Mobile Pricing Plans? Their introductory 3 month pricing levels are the same as their 12 month plans. In essence, they are hoping you’ll love the service and price so much that you’ll opt for the 12 month plan. Which Phones Can Be Used On The Mint Mobile Network? Any unlocked GSM phone should work on the Mint Mobile network. You can bring your own phone unlocked phone. Just switch out the SIM card and boom! It’s important to note that you can still keep your existing phone number when you switch to Mint. In fact, moving your phone number (porting) to the new network is easy and the process is explained during account set-up. Why Switch To Mint If You Are Happy with Cricket? Look, we had zero problems with Cricket’s service. But ultimately, it comes down to the money saved. If you’ve seen our posts on financial freedom or budgeting, you’ll know how important living within our means is. Remember, the lower your expenses are each month, the more aggressive you can invest and save. We want to be able to retire earlier than when we turn 65 years old so we are hyper-focused on saving as much as possible and earning as much as possible. So let’s take a look at how Mint compares to Cricket so you can see whether the savings made sense. If you are on a major carrier you’re likely paying much more than either Cricket or Mint Mobile! Are the savings worth the hassle? This questions really comes down to two factors. The savings and the hassle involved. Let’s address the hassle (or lack of it!) first, before we really break down the numbers. To be honest, the switch was quite simple and there was very little hassle. The process of switching took me 15 minutes plus the wait for the sim card to arrive since I already had an unlocked phone (I used the same phone I was using on Cricket Wireless). Now let’s break down my savings! Let’s compare the 5GB/month Cricket Wireless plan with the 8GB/month Mint Mobile plans, since that was the same exact change that I made. How Does Cricket Wireless Pricing Compare To Mint Mobile? When it comes to a finding a budget phone plan, these are the two clear leaders in the game. One company uses AT&T towers while the other uses T-Mobile towers. Also, Mint offers prepaid plans to offer additional savings, while Cricket offers the traditional monthly cell phone plans. Let’s take a look to see how the costs between the two platforms compare. At this level, there is no money saved, but you get an extra 3GB of data, which we think is a no-brainer. Pay the same price, but get more in return. And not only more, but 60% more. Starting to save some money with the 6 month plan. Again, a modest $10 savings each month, but still get 60% more data. Over the full year you are looking at $120 in savings. Over 5 years, you are talking $600. If you have a few phones in your family, the savings can become staggering. At this level, the savings over a full year are HUGE!! If you have multiple phones in your family then the savings can make a massive difference. 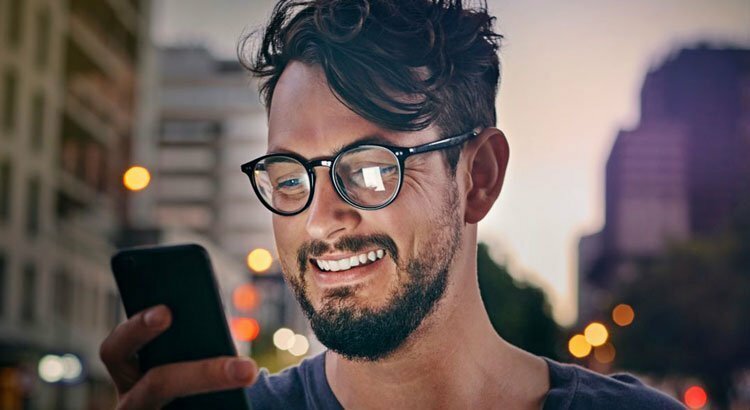 Nearly $200 in yearly savings for 60% more data. Another no-brainer! Again, this assumes you get the Auto Pay Credit with Cricket. If not, the savings you would by switching would be even bigger! If you live paycheck to paycheck and struggle with paying all of your bills on time, then having to come up with the extra cash up front will be a challenge. For example, with Cricket you pay your $35 on a monthly basis (if you have Auto Pay set up), but with Mint’s 3-month pricing, you would pay $105 upfront for 3 months. On the flip side, the other two months you wouldn’t have to pay anything. If you decide to maximize your savings and go with the 12 month plan, you would pay $240 once and then not have a payment the other 11 months. So over the full year you would pay a lot less. This translates into more money in your high interesting savings account or Roth IRA. First, it’s awesome that you think about the time value or opportunity cost of your money. Second, it’s a great question. After all, isn’t there a chance that you’d be better off keeping Cricket so that your money isn’t locked up for 3, 6 or 12 months! That’s money that you could be investing, right? For example, let’s assume you opt for the annual plan since that is the plan that would require the most amount of money to be paid upfront. Let’s focus on 8GB plan that we chose. This plan is $20 per month but it needs to be paid as $240 up-front. With Cricket, you’d be paying roughly $35 for a similar plan on a monthly basis. That means that during the first month you’d have $205 extra dollars to invest. Assuming you make 6% per year on your investments, that’s 0.5% per month, or $1.03 in gains. Let’s just stop right there. We already saw that over the year we would save $180 dollars, so clearly this more than makes up for the opportunity cost of paying up front, unless you know of a way to make your money quickly multiply. During my first month on Mint Mobile’s network, I have had absolutely no coverage issue (I don’t live in a large metro area either). But there’s no doubt that Mint has less coverage than some of the large mega networks based on the maps. Just like any other phone company, you must check the wireless coverage in your area. For the large majority of folks that live within a couple of hours of a large metropolitan area, this shouldn’t be a problem at all. Nevertheless, it’s always best to check before you take the plunge. If you live in an area that’s borderline with regards to coverage, Mint Mobile offers a 7-day money back guarantee. We have not utilized that service since we didn’t notice any difference in quality or service and kept on with it to save money while getting more data! A win-win! Mint Mobile will sell you a new phone at retail prices, so there’s no savings if you are looking to trade in your phone or upgrade. If you want to use the money saved on the plan to get a nicer phone, you’re better off thinking twice about it. Apple and Samsung have a really strong advertisement game. We get it. Every time we see one of their commercials our brains also start to rationalize why we need the latest Apple or Samsung phone. But that’s the thing. We do not NEED it. We just WANT it bad. Real bad. One of us had the same phone for nearly 5 years. Was it annoying to type in the passcode each time when our friends could unlock their phones with their fingerprint? Definitely. Did we survive? No doubt. Based on our personal savings rate, I’d say we did a lot more than merely survive! So next time you feel like upgrading something that works perfectly fine, just remember one thing: you can’t miss what you’ve never had. By doing those two things you will never go deeper into debt and can pay cash. If you can’t pay with cash, then you can’t afford it (this doesn’t apply to large purchases such as a mortgage). This doesn’t necessarily mean literal cash. We use credit cards to get points/cash back but pay it off in full right away. There’s nothing worse than pay 15-25% interest on purchases. How do you think credit card companies afford the skyscrapers in NYC? They LOVE consumers that carry credit card balances each month. Don’t be loved by credit card companies. Not all love is created equal. You’ll also notice that Mint doesn’t offer unlimited data plans. For most people it doesn’t really matter since most homes, offices, coffee shops, etc. have WiFi. But if you are the person who has no access to WiFi and uses insane amounts of data monthly, then Mint Mobile is NOT for you. For everyone else, it’s the real deal. When it comes to our phones and plans, there’s three things that are most important to us. Call / FaceTime quality, data speeds and price. Over the past month there has been absolutely no difference in call or FaceTime quality. We haven’t noticed dropped calls, audio problems or any loss in data download speeds. Texts and emails have always been coming through on time and rapidly. However, there has been one big change we’ve seen: the price! As mentioned earlier, switching was super simple. We kept the same phone number and the same phone (protip: only upgrade your phone once your current phone dies AKA every 3-5 years to maximize savings). We haven’t noticed any difference in quality from Cricket (which wasn’t any different from AT&T). I plan to stick to the 8GB 6-month plan, since that is working well for me. I would sign up for the 12-months for greater savings, but we might find something even cheaper to test out within 12 months ;).